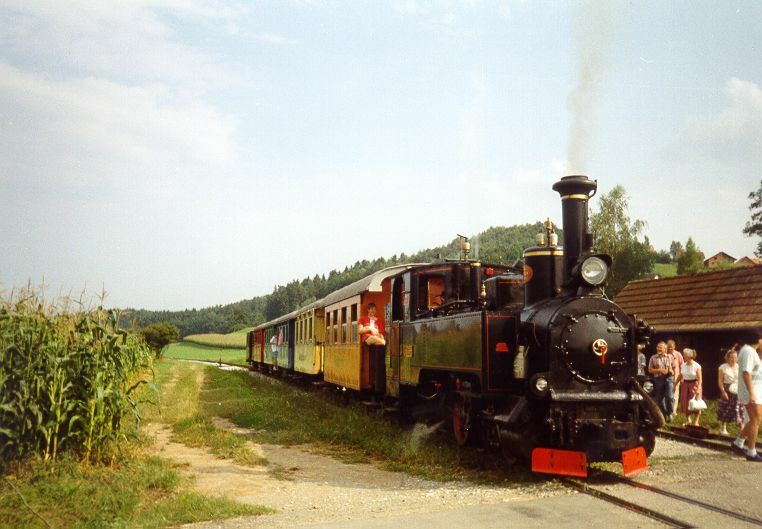 S11 "Stainz" in Kraubath on the 760mm tourist line to Stainz in Styria (a former Stlb line). 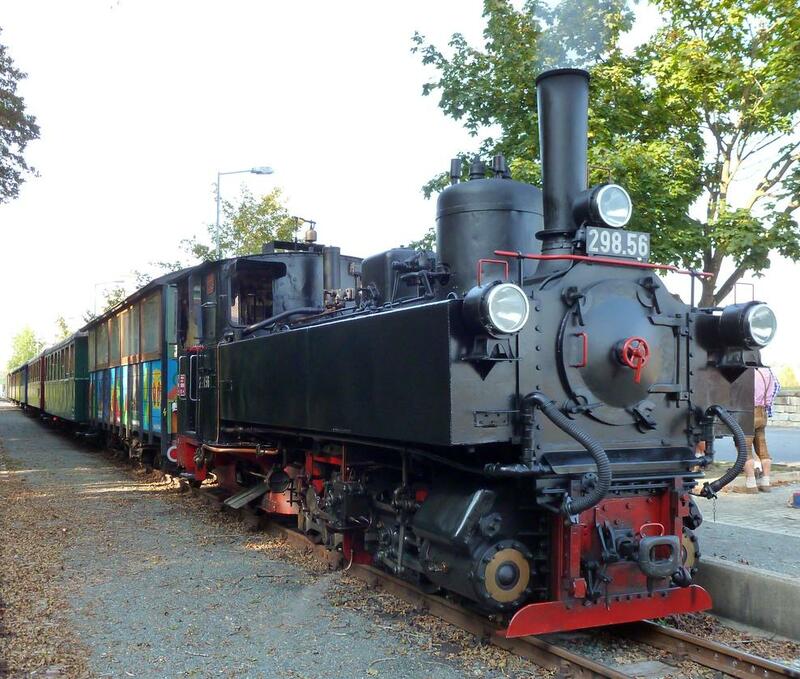 This 0-6-2 is a close relative to the later U-class and was originally built for the Salzkammergutlokalbahn. 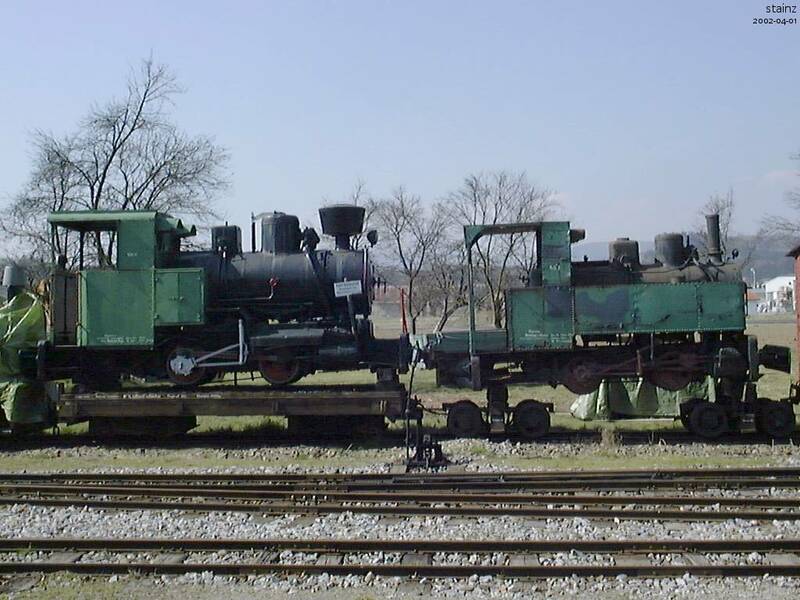 For many years it was the only engine of this legendary line running in Austria but now two others were restored to working condition. 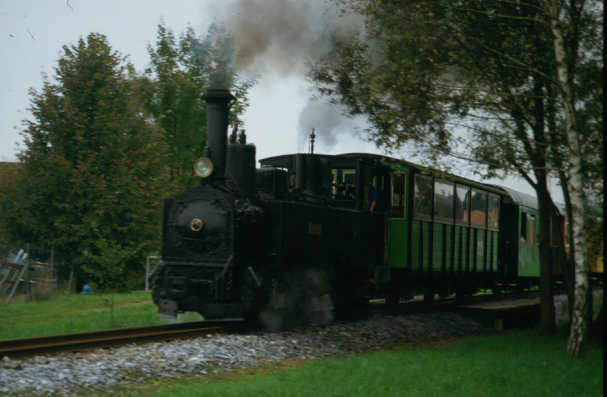 The narrow gauge locomotive STAINZ passes through the green and paceful landscape of the STAINZERBAHN, a beautiful steam line in Steiermark (Austria). 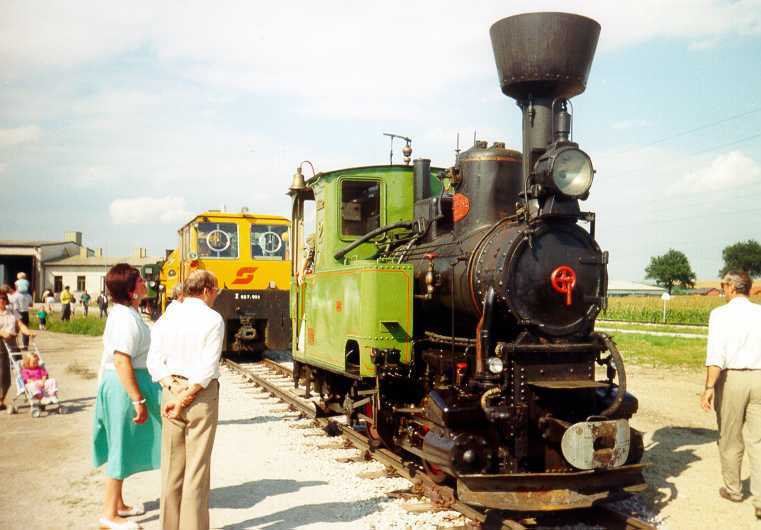 The foto was taken near Stainz, the 21 september 1996. 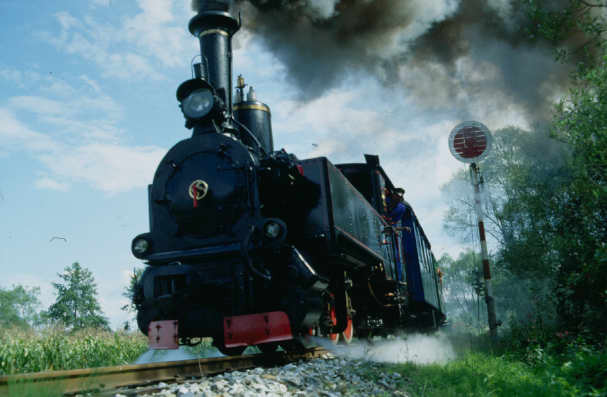 The narrow gauge locomotive STAINZ leaves the station of Preding, one of the two ends of the STAINZERBAHN, a beautiful steam line in Steiermark (Austria). The foto was taken the 21 september 1996. 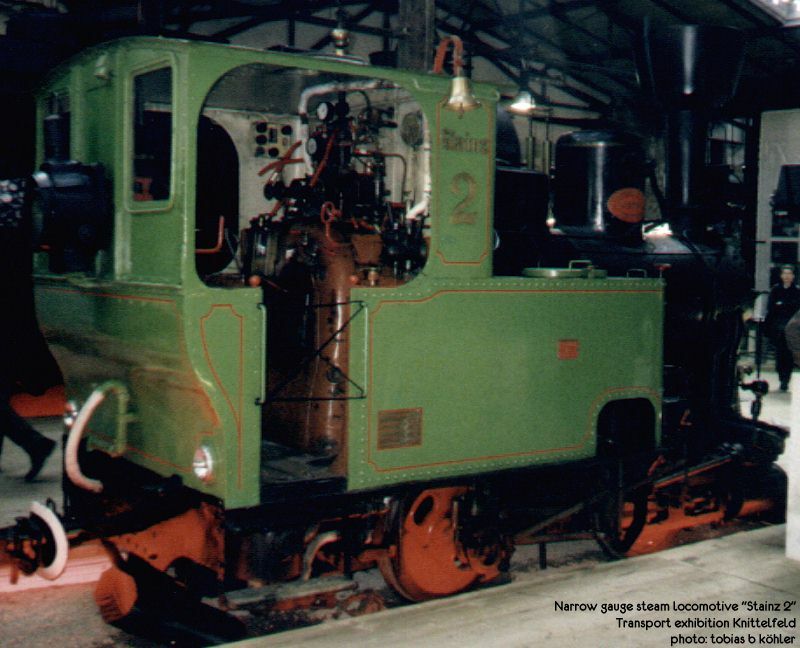 Narrow gauge locomotive "Stainz 2" at the transport exhibition of Knittelfeld, 1999. 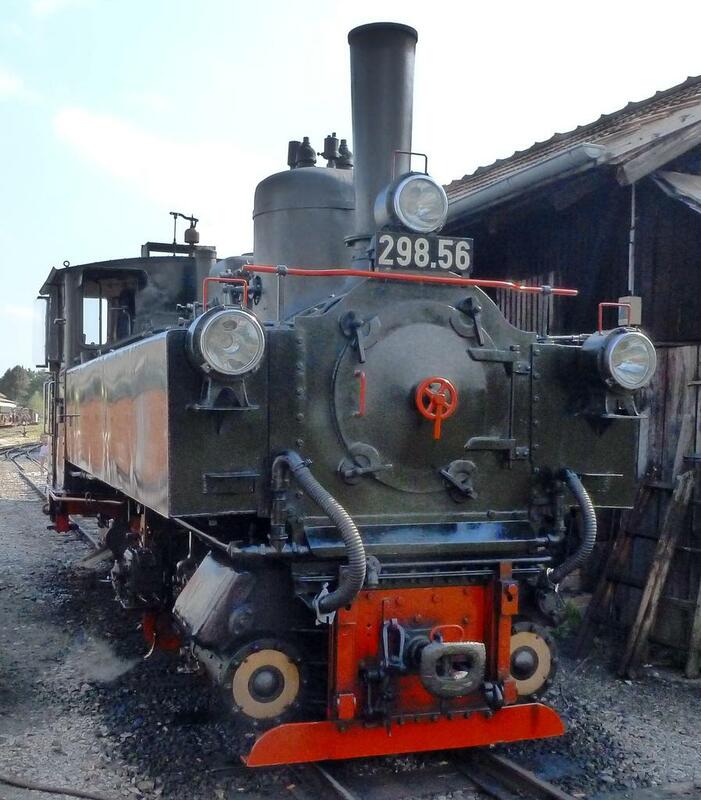 Club 760 / Stainzer Lokalbahn steam locomotive 298.56. 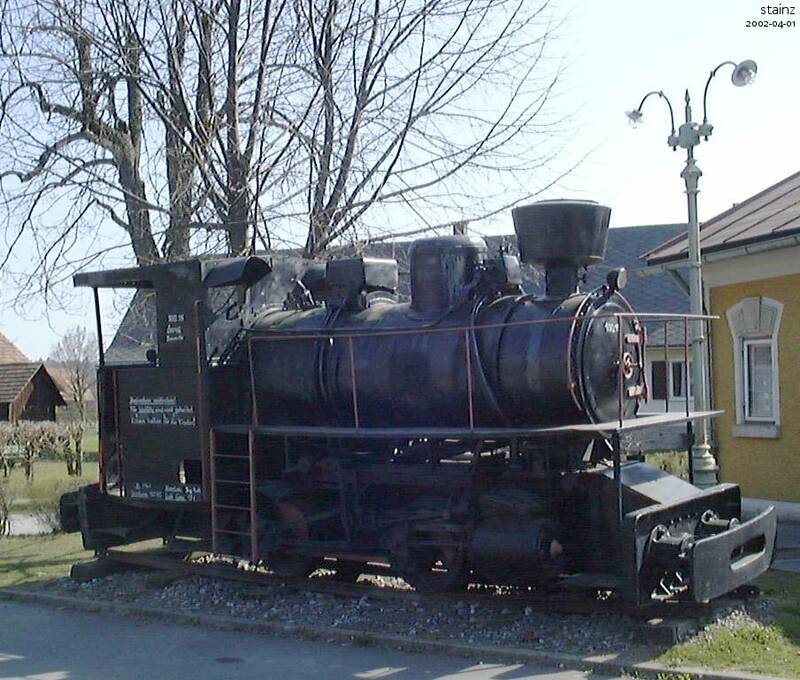 Built 1900 by WLF as NÖLB 2, later it became NÖLB U.6, BBÖ U.56, DRB 99 7822, ÖStB 99.7822, ÖBB 298.56, in service until 1982. It came to Stainz in 2011. Stainz, 2011-09-16. 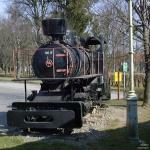 Club 760 / Stainzer Lokalbahn steam locomotive 298.56. Stainz, 2011-09-16. 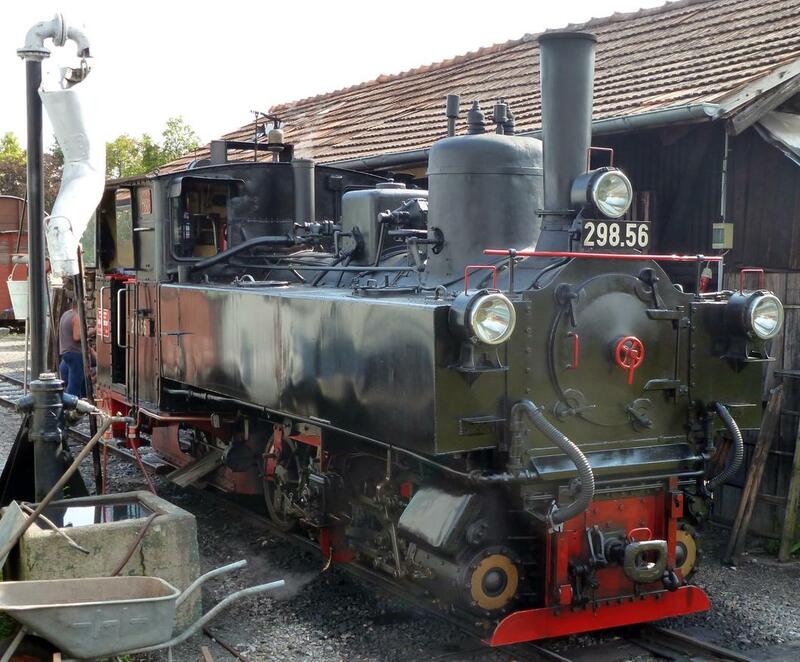 Club 760 / Stainzer Lokalbahn steam locomotive 298.56. Kraubath, 2011-09-16. 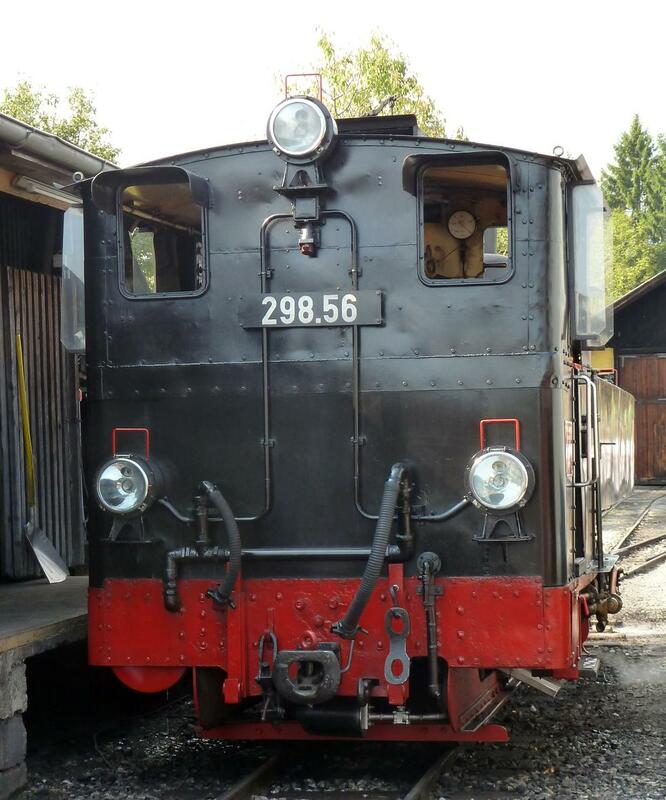 Club 760 / Stainzer Lokalbahn steam locomotive 298.56. Preding-Wieselsdorf, 2011-09-16. 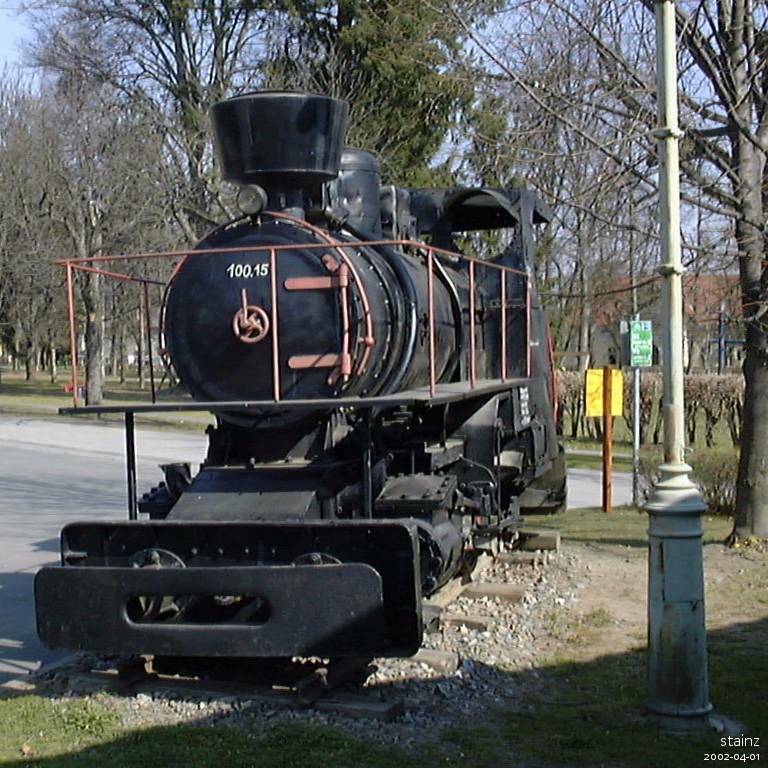 Preserved narrow gauge locomotive 60.6 in Stainz, 2008-11-09. 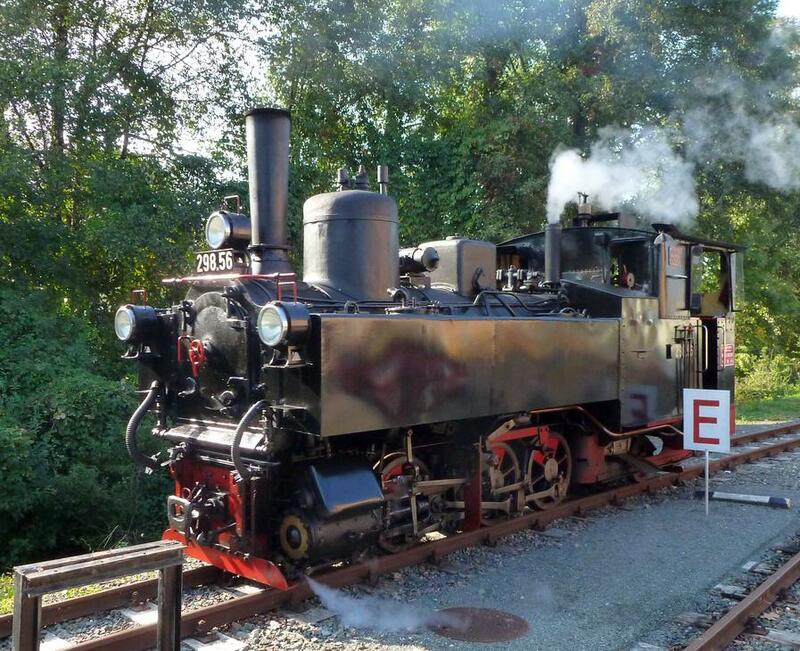 Originally built 1911 by Krauss Linz, 60 HP, 15 km/h, 44 kW, used at Erzberg/ÖAMG Donawitz. Steiermärkische Landesbahnen "Stainz 2" at the 100 years narrow gauge railways in Austria - celebrations in Ober Grafendorf on the Mariazell line. 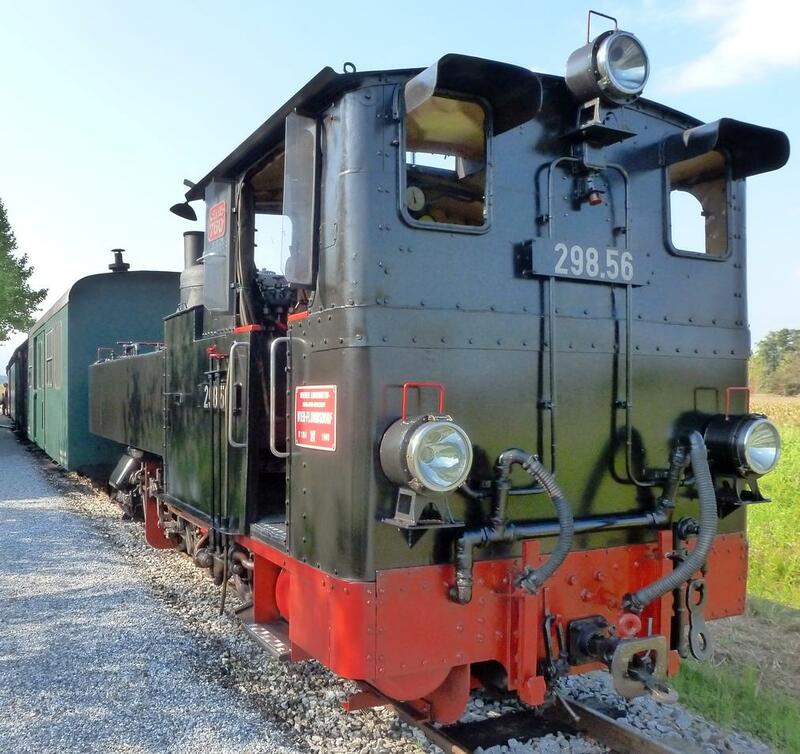 This engine was originally built for the line from Preding-Wieselsdorf to Stainz in the county of Styria which is now a tourist line. 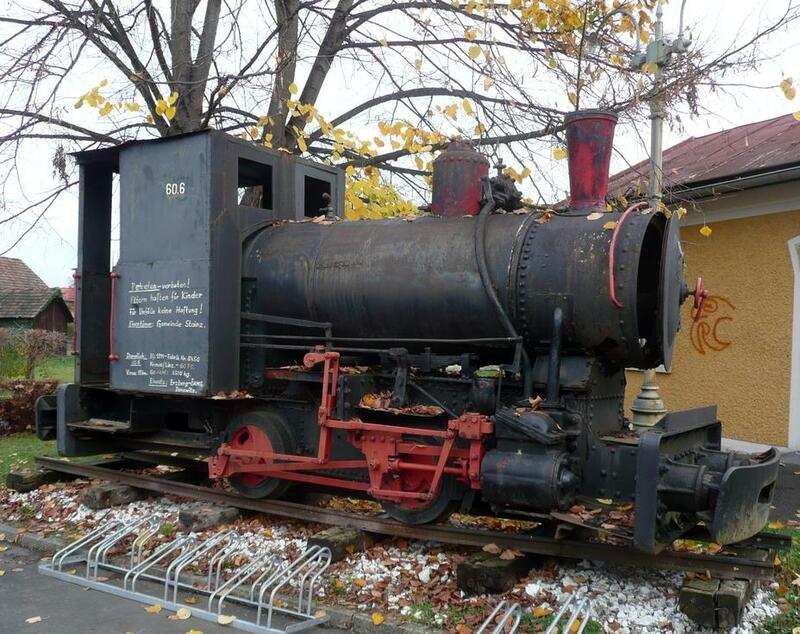 Later it was transfered to the Murtalbahn where it's still in use especially for amateur driver trains.